I read the novel, ‘The Crucible’, and it was about the Salem witch trials and more specifically, the inconsistencies of the trials. The story focuses on the discovery of several young girls and a slave playing in the woods, conjuring spirts from the dead. Rather than suffer severe and inevitable punishment for their actions, the girls accused the people of Salem for practicing witchcraft. Therefore, the girls avoided punishment by accusing others of the very things of which they were guilty. This desperate and perhaps childish finger-pointing resulted in mass paranoia and an atmosphere of fear in which everyone was a potential witch. As the number of arrests increased, so did the distrust within the Salem community. A self-perpetuating cycle of distrust, accusation, arrest, and conviction emerged. By the end of 1692, the Salem court had convicted and executed nineteen men and women. In particular, Elizabeth Proctor was found guilty of being a witch but she was pregnant so they said they’d wait to execute her until after she gave birth. Therefore, even the courts wouldn’t kill an unborn baby. I choose abortion as my issue I wanted to talk about because I have felt very strong about it for years now. A few years ago, I went to Washington D.C. to march in the protest that was taking place. It’s called ‘March for Life’ and it occurs annually. Ever since I learned about what abortion was and what it really meant, my views haven’t changed. I’m pro-life for a few reasons but mainly because the baby can’t control anything that goes on before he/she is born. If the parents weren’t trying for a baby, they should’ve taken necessary precautions. Plus, hearing women talk about having an abortion or multiple abortions and then regretting it years later is so sad. They didn’t realize the consequences before they did it. I’m talking to all the women out there. You all are in charge of your own body indeed, but your killing YOUR offspring. 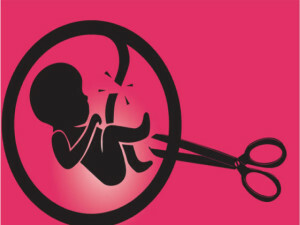 Pregnancy is a beautiful thing, making life is a beautiful thing, but killing an unborn fetus is not beautiful. The purpose of this letter is to show my opinions on the issue. Some people may be pro-life, pro-choice, or somewhere in-between. Everyone can think how they want about the issue, but it is a big issue that already had a Supreme Court case and is still getting backlash. I want to change that Supreme Court case and make abortions way harder to get. I’m sure it won’t happen fast and all together but if we get some restrictions on it, that is a step forward. In conclusion, if Elizabeth Proctor was set up for death but found out she was pregnant and wasn’t killed because of the unborn baby, that should say something.